GLBenchmark has struck again, listing the specs for another device that has yet to be officially announced: Acer's V350 smartphone. The Acer V350 appeared in GLBenchmark's listings recently, though exactly when is unclear. However, reports of the unannounced Acer smartphone began arriving on Friday. 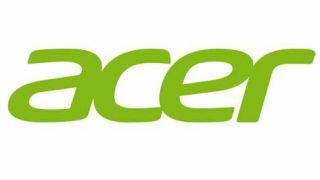 Given its specs, it seems the V350 will be Acer's flagship device for 2013. The benchmark profile pegs the Acer V350 with a 1280 x 720 display that's likely more than 4 inches in size. Pair that with Qualcomm's 1.5GHz dual-core Snapdragon S4 MSM8960 processor - the same one that powers Samsung's Galaxy S3 - and you've got an impressive device. The Acer V350's specs also include Android 4.1.2: Jelly Bean right out of the box, a first for the Taiwanese manufacturer. Acer's ship has sprung leaks left and right in the last week, with the Acer V360 and Iconia B1 tablet inadvertently revealed in addition to the V350. Despite the names, the Acer V350's hardware appears to be superior to the V360's 4.5-inch 950 x 540 resolution display and 1GHz dual-core chip. What's more, the V360 will run on Jelly Bean jus as the V350 does. The Iconia B1, on the other hand, is a budget-priced 7-inch Android Jelly Bean tablet expected to launch at CES 2013 or the Mobile World Congress next year. The V350 and V360 could make appearances at CES as well, so stay tuned - TechRadar will be there live to bring you all the big announcements.